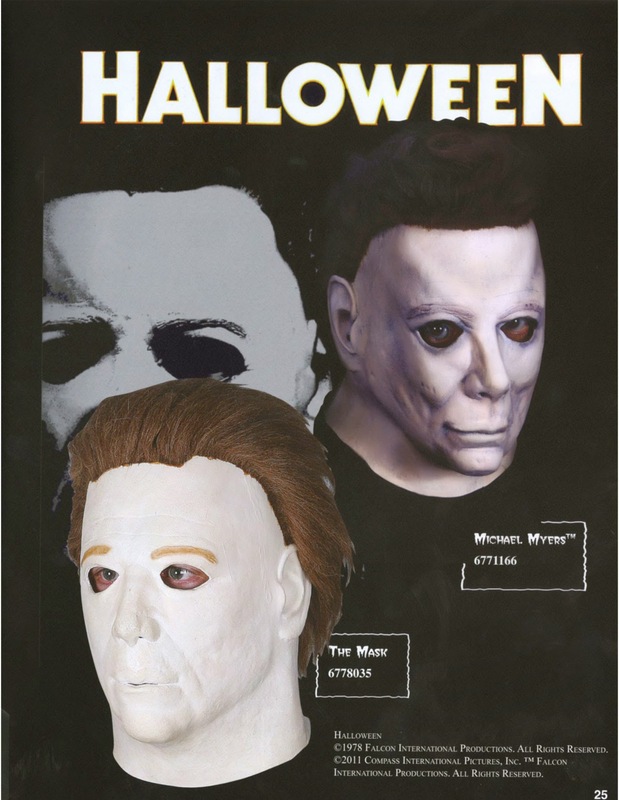 Now You Can Dress as Your Favorite Masked Killer! 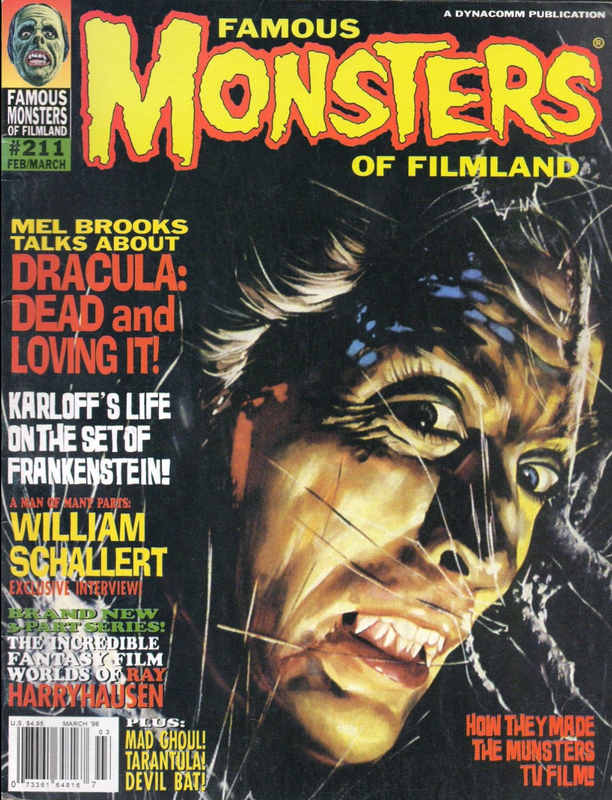 Monster Art: "The Mummy's Tomb"
This beautiful piece by Basil Gogos was featured on Famous Monsters issue # 83. 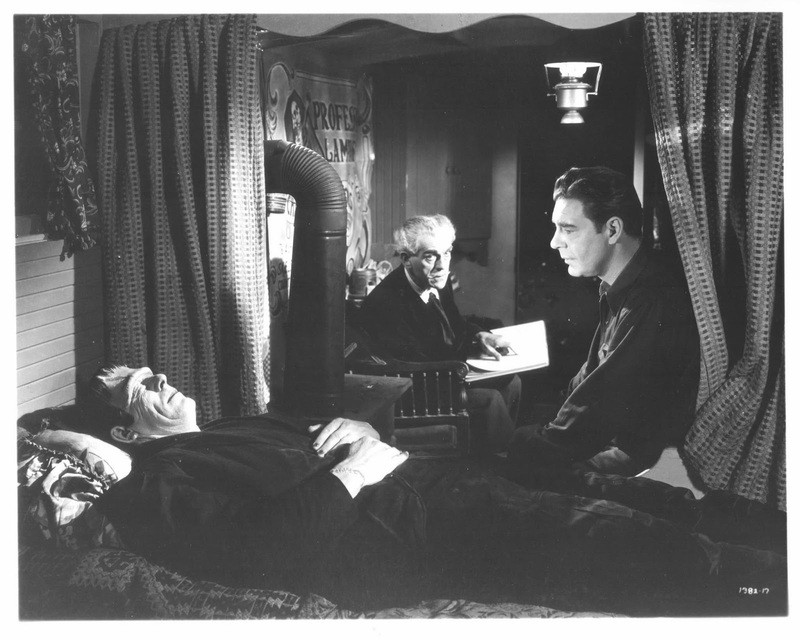 Glenn Strange, Boris Karloff and Lon Chaney, Jr. from "House of Frankenstein". 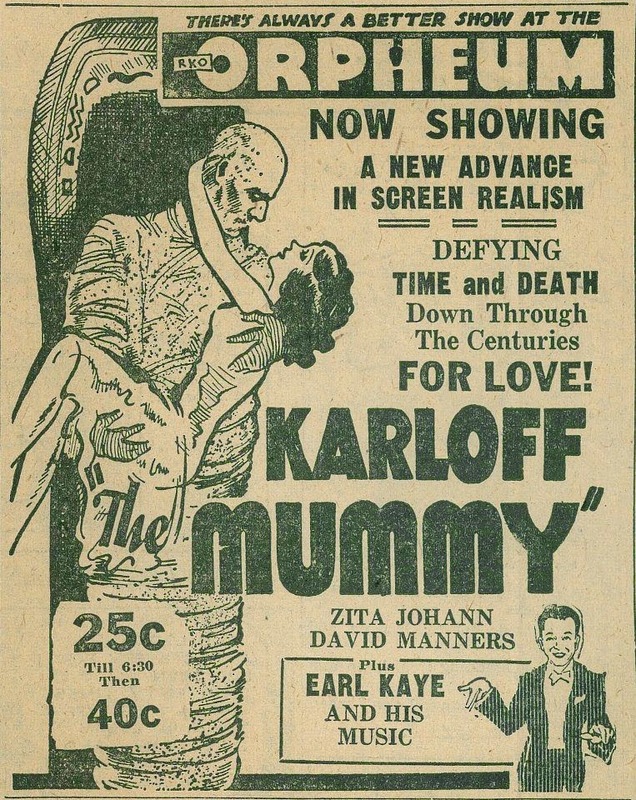 What an incredible advertisement from 1932 for "The Mummy"! 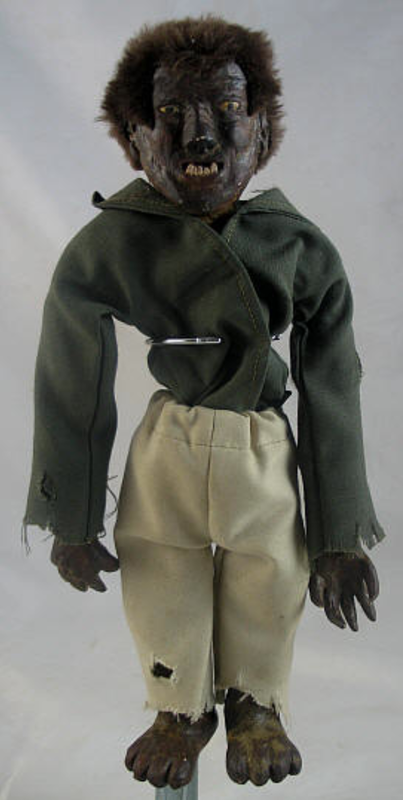 This Wolf Man doll recently went up on auction as the stunt doll used in the finale of "Abbott and Costello Meet Frankenstein". I don't think this is authentic as the shot in question looks nothing like this doll at all. 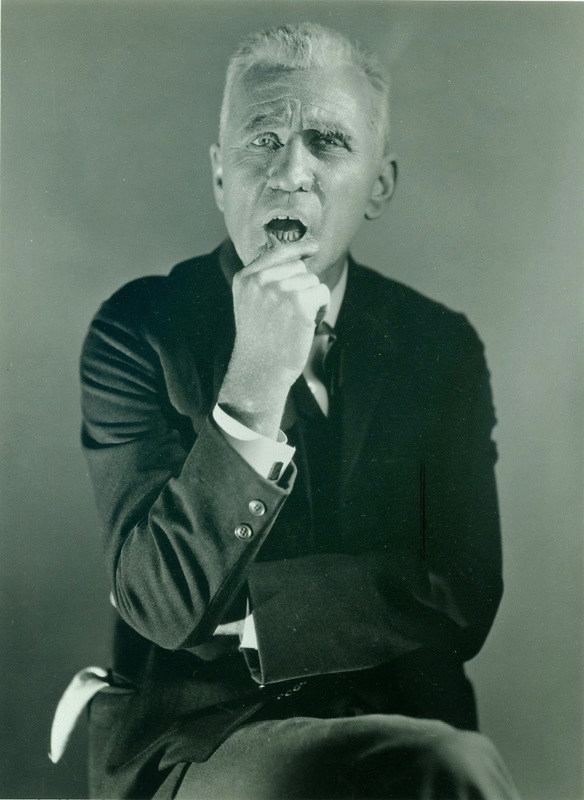 But if it is real, that would be awfully neat! This vintage Dracula bust was on ebay recently. I believe it's from the 1970s. I would really love to have this in my collection! 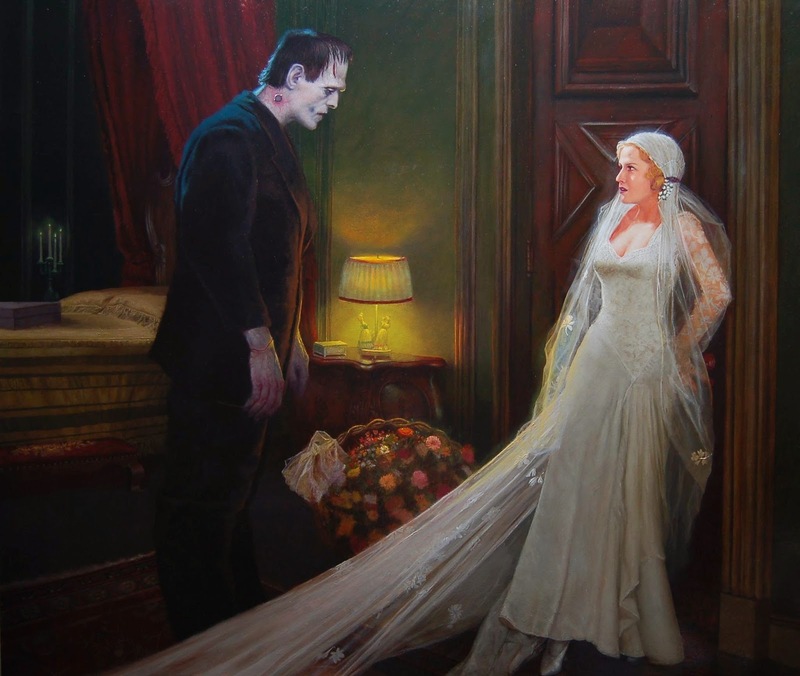 Daniel Horne painted this beautiful piece from "Frankenstein". 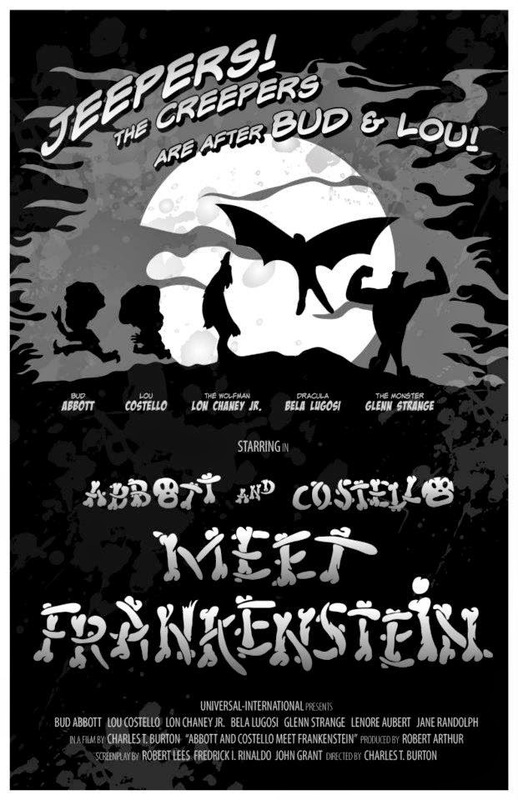 Monster Art: "Abbott and Costello Meet Frankenstein"
Someone put together this great movie poster using the animated version of the characters shown at the beginning of the film. 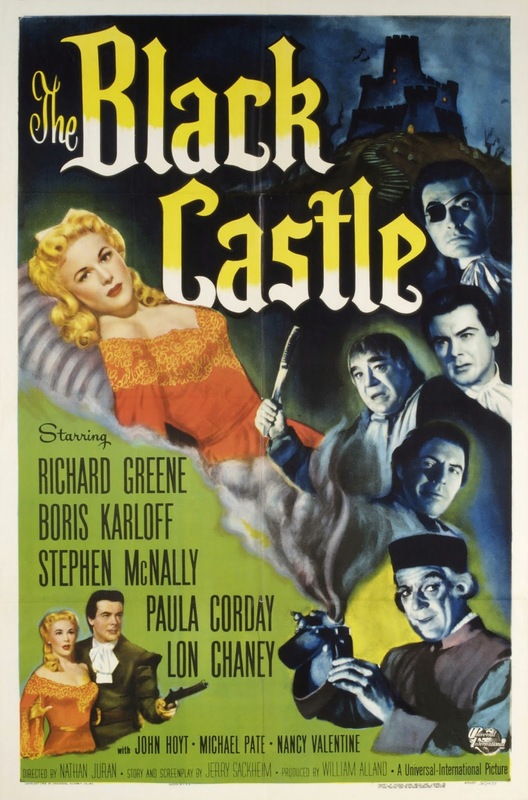 Monster Movie Posters: "The Black Castle"
Trying to reason with Michael Myers is tough to do! 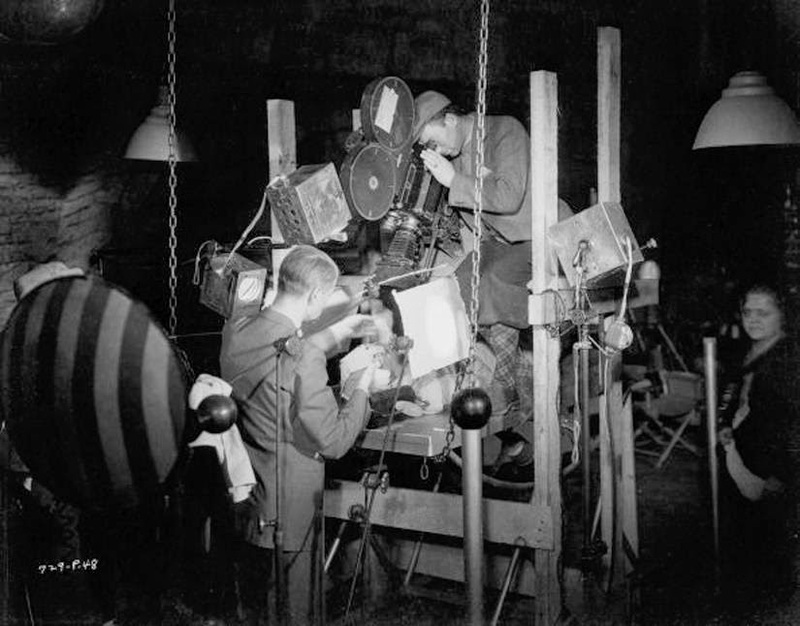 Filming the Bride's big closeup in "Bride of Frankenstein". The top photo is from an unused sequence from "The Secret Life of Walter Mitty". 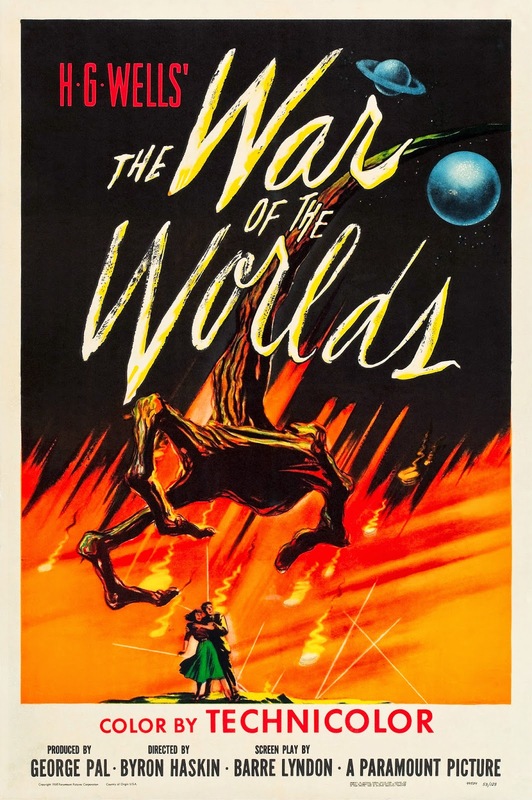 Monster Movie Posters: "The War of the Worlds"
Jack Pierce leads his Monster whose face is covered from the public. 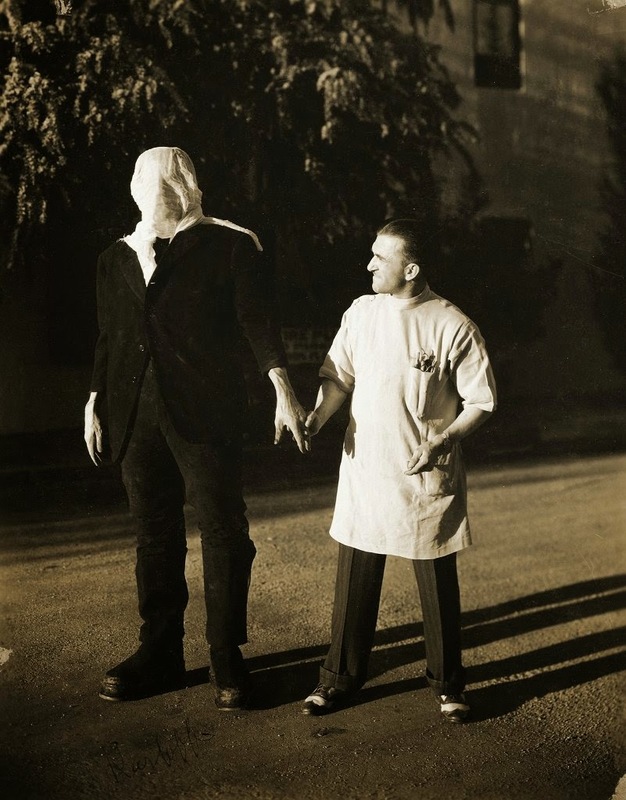 From the filming of "Frankenstein". 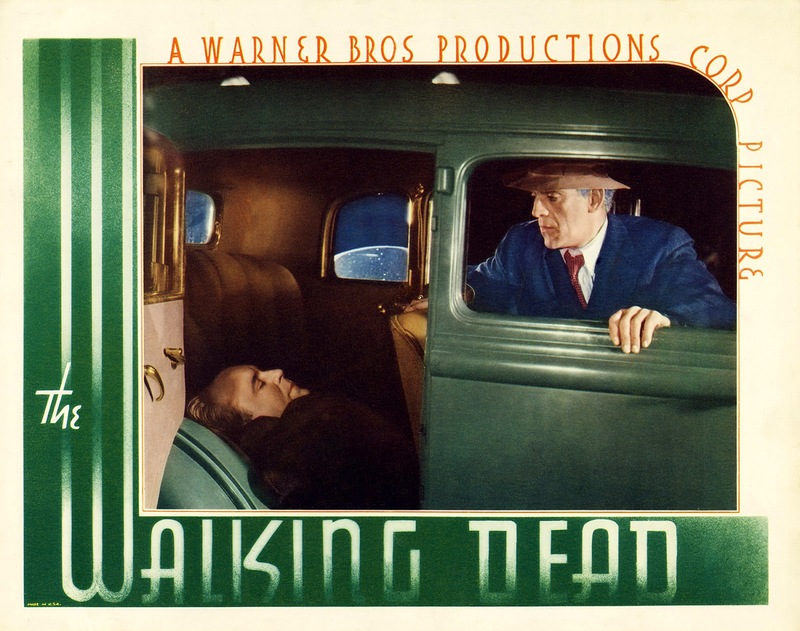 Van Helsing and Jonathan Harker search for his love Mina and the undead vampire that took her. 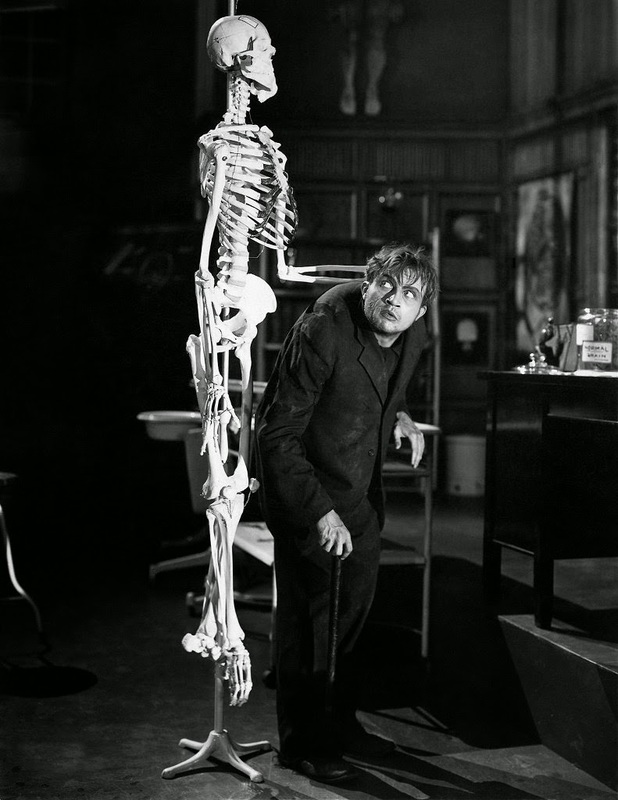 Edward Van Sloan as Dr. Van Helsing in "Dracula". 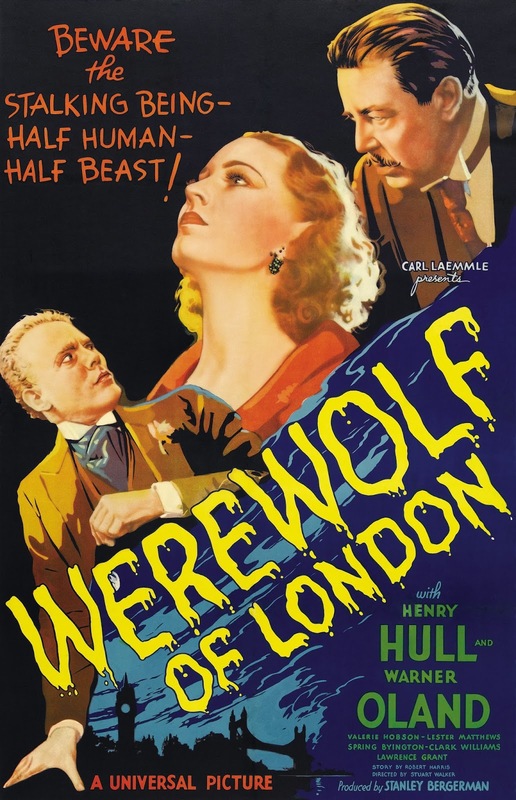 The brilliant design of James Whale and Jack Pierce and performance of Boris Karloff. 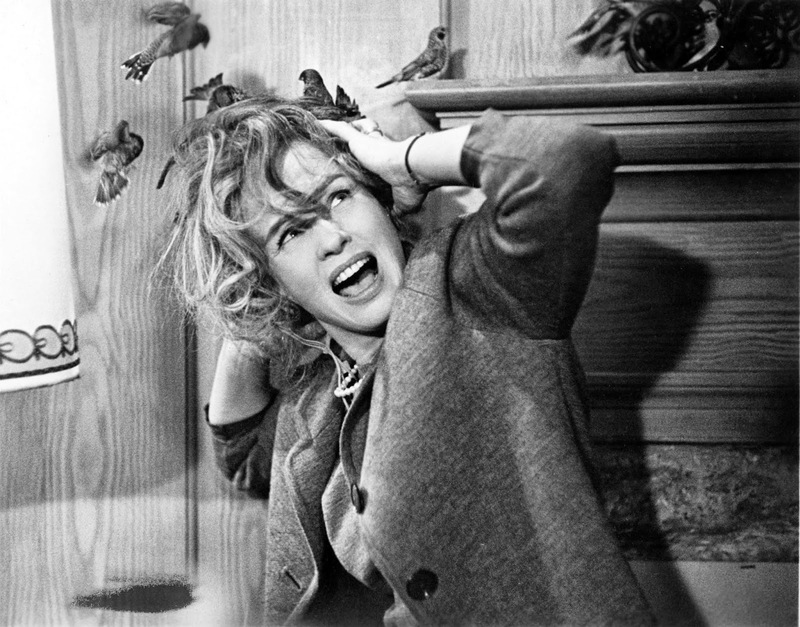 It's Jessica Tandy again from "The Birds". 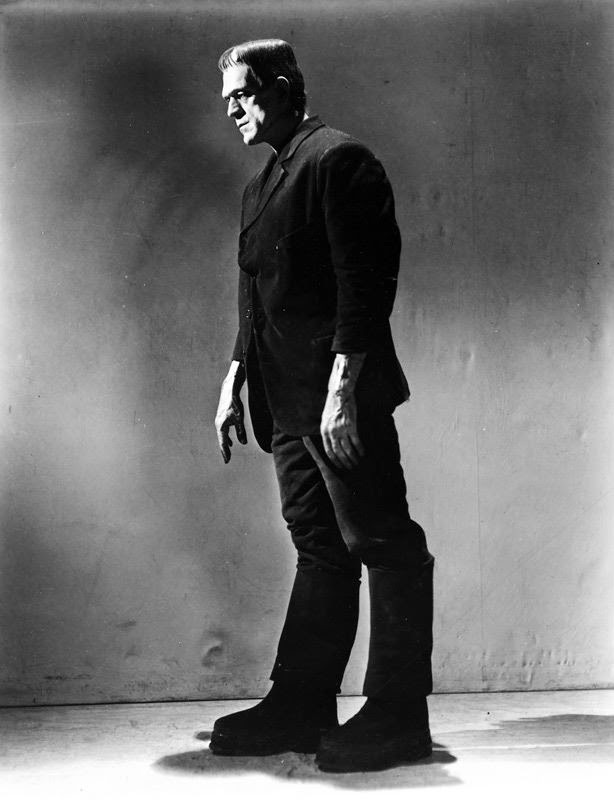 The most iconic and well known Universal Monster of them all: Frankenstein's Monster! Here's a rare polaroid shot of Sarah Michelle Gellar on the set of "Buffy the Vampire Slayer" taken for continuity purposes. 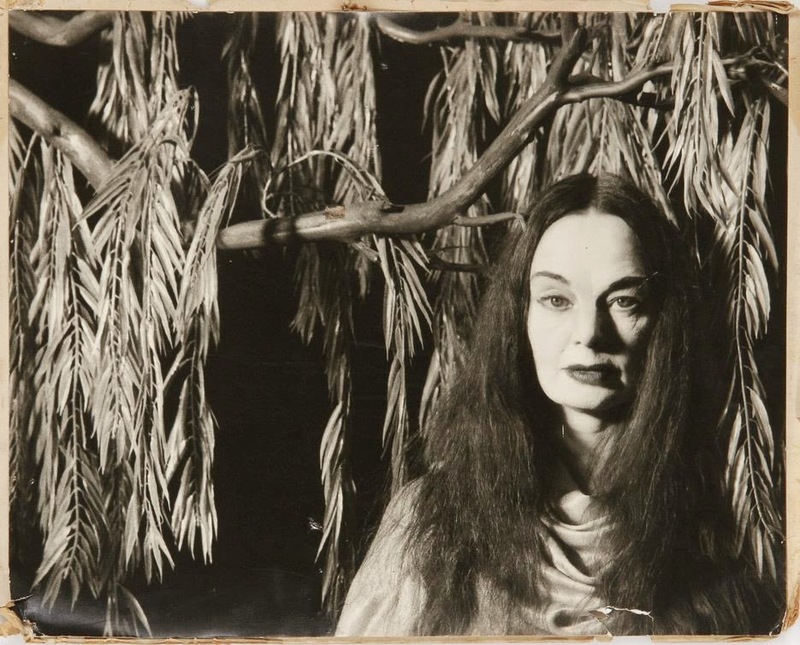 Carol Borland is pictured here dressed as a character named Luna, which she played years earlier in "Mark of the Vampire". 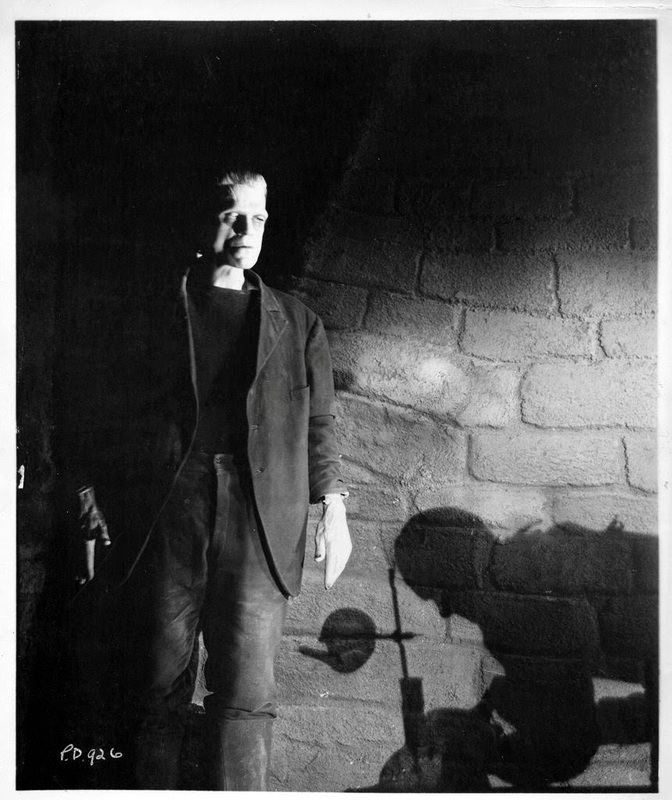 Boris Karloff and the shadow of Colin Clive in "Frankenstein". 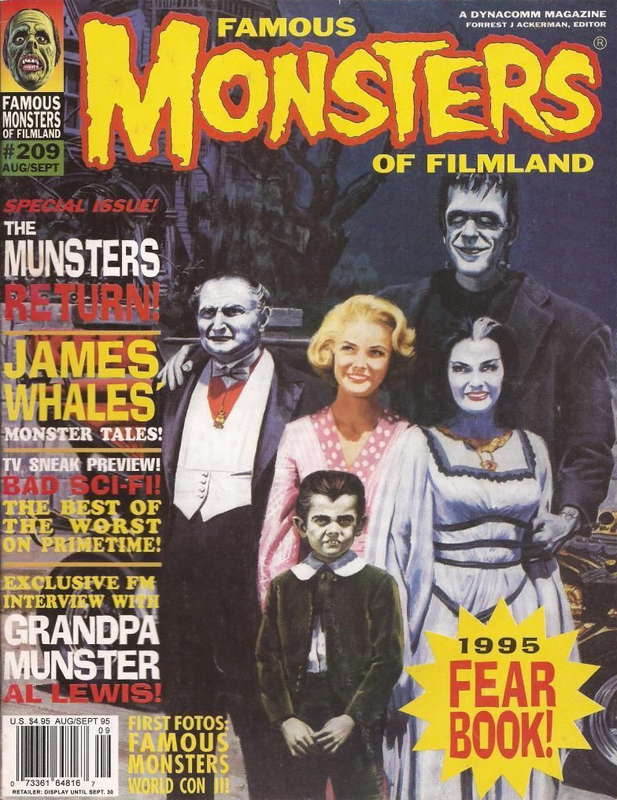 The last issue put out by Forrest J Ackerman. 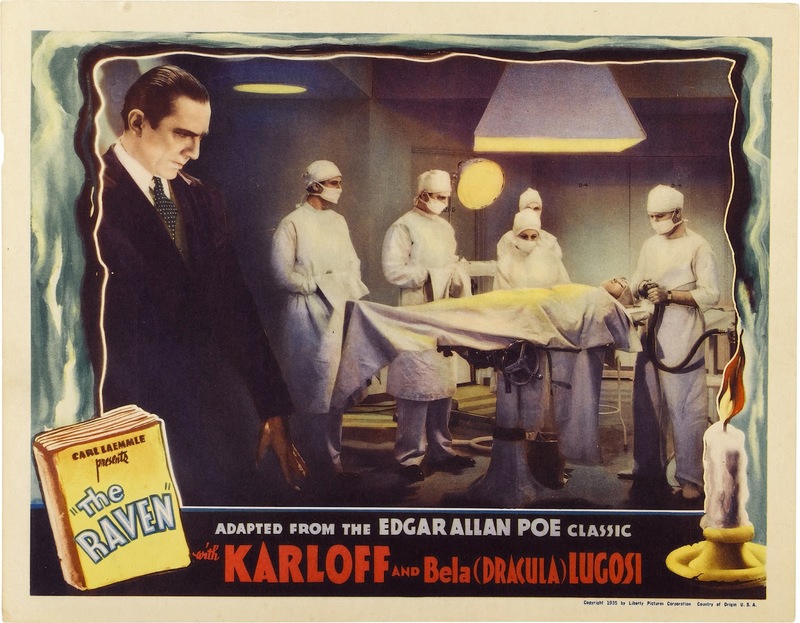 Here are several supporting cast members from "Dracula". 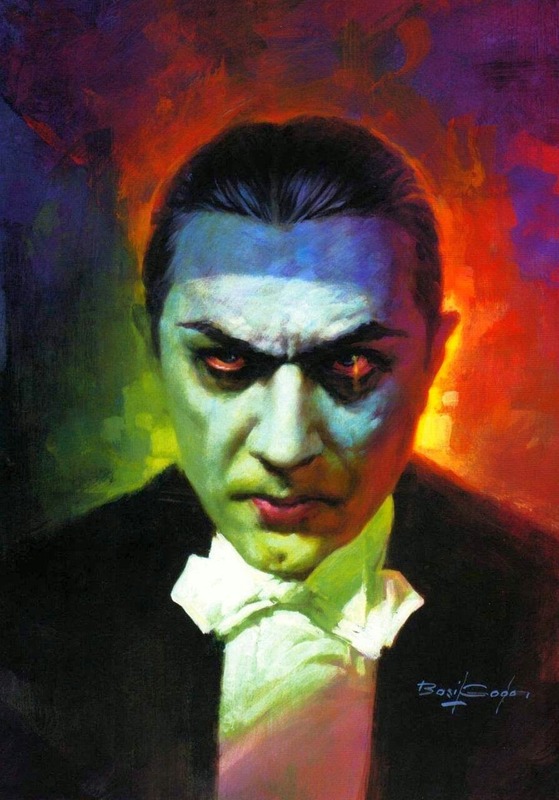 Basil Gogos brings us a beautiful rendition of Bela Lugosi as Dracula! 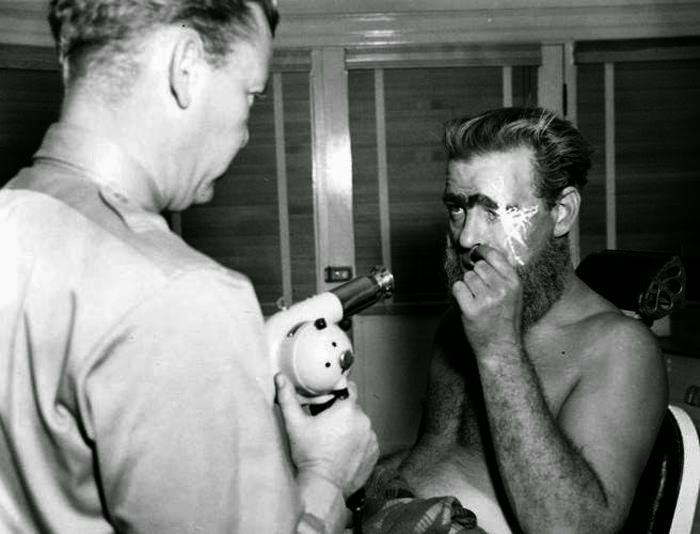 A behind the scenes shot of Lon Chaney, Jr. in the makeup chair for "One Million B.C.". 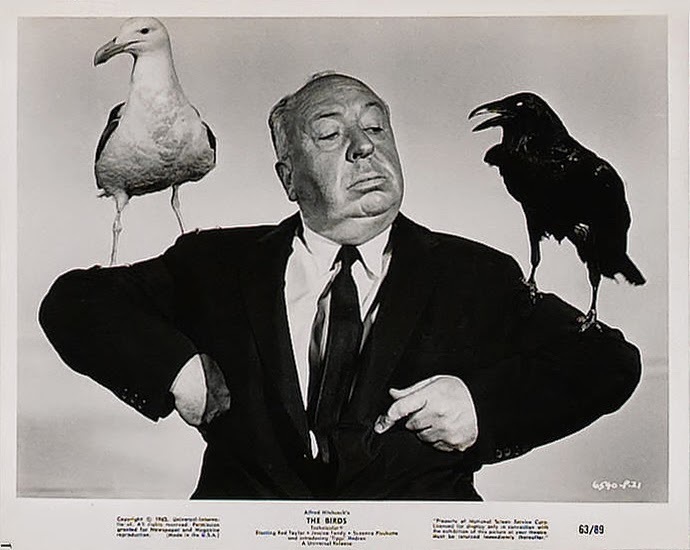 A wonderful publicity still from "The Birds". 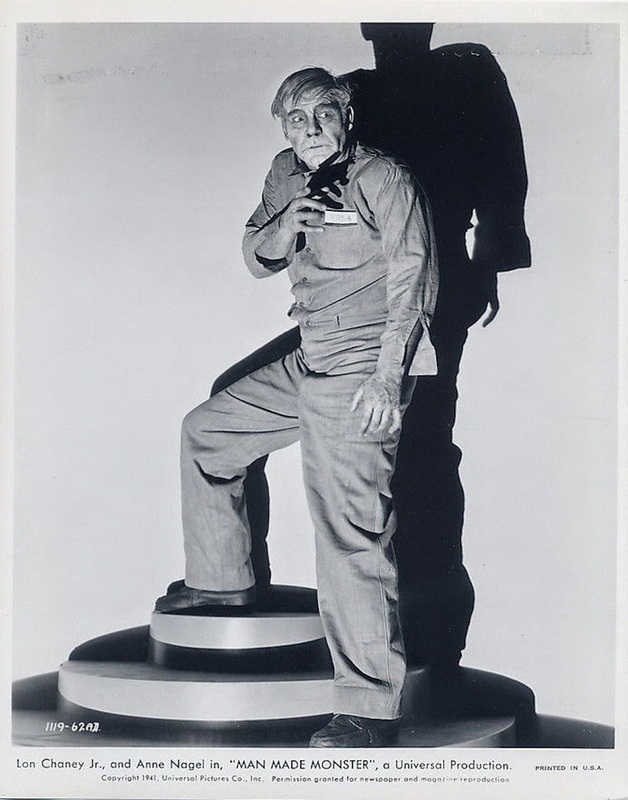 Lon Chaney, Jr. as Dynamo Dan McCormick in "Man Made Monster". 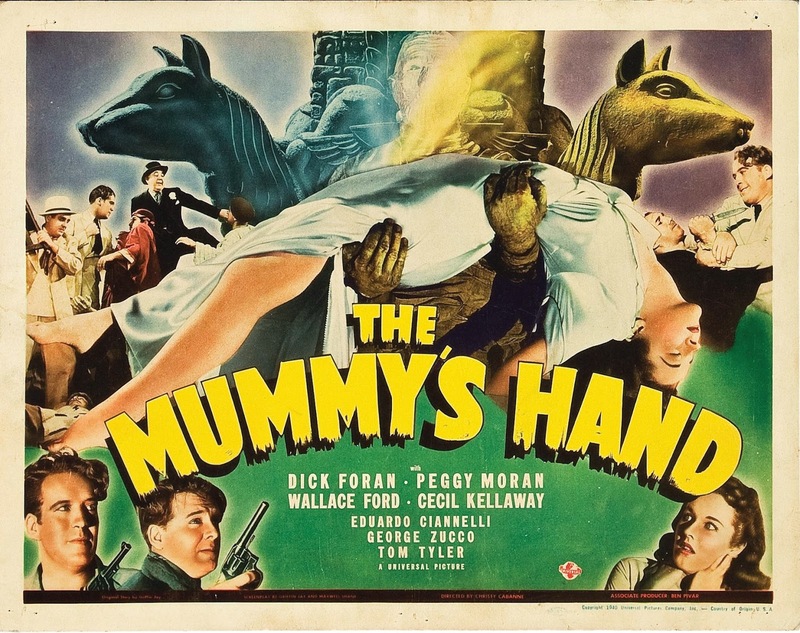 I love this art of a dvd I found on ebay. 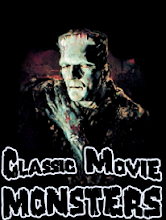 Not only does it feature Forry and some great monsters, but it's inspired by the Haunted Mansion Disneyland Attraction Poster! 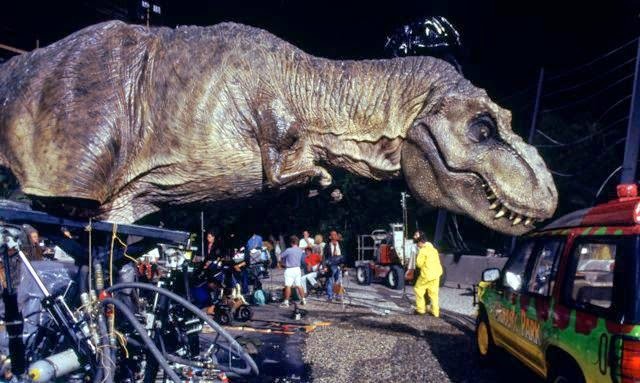 How neat it must have been to be on that set! 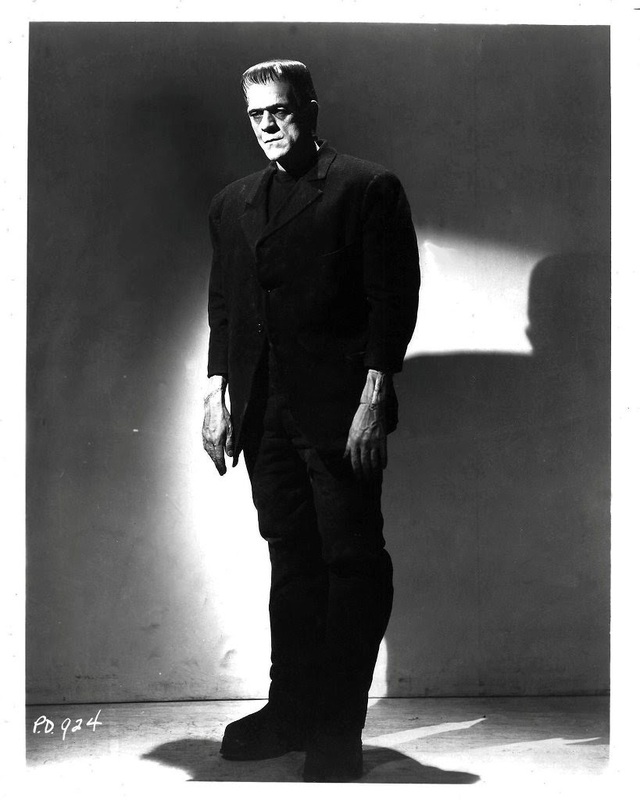 Karloff as the Monster in "Frankenstein". It All Started With This! 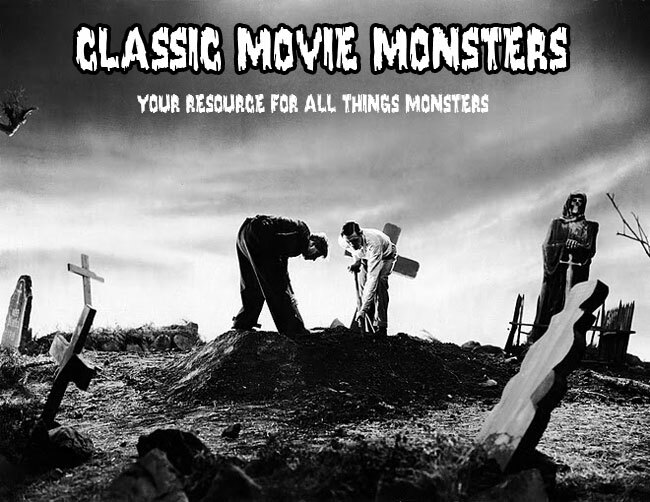 Godzilla as he first appeared in the 1954 film! 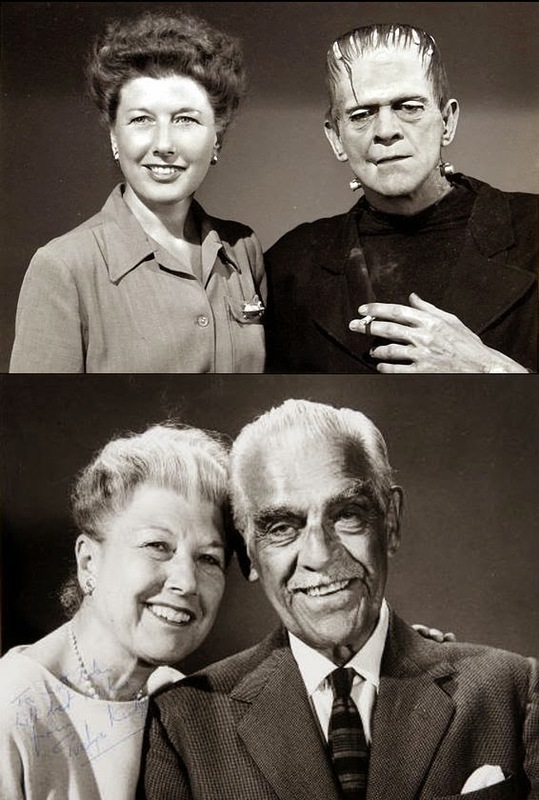 Jane Adams who was one of the last surviving Universal Monsters (The Hunchbacked Nurse in "House of Dracula") has passed away at the youthful age of 92. 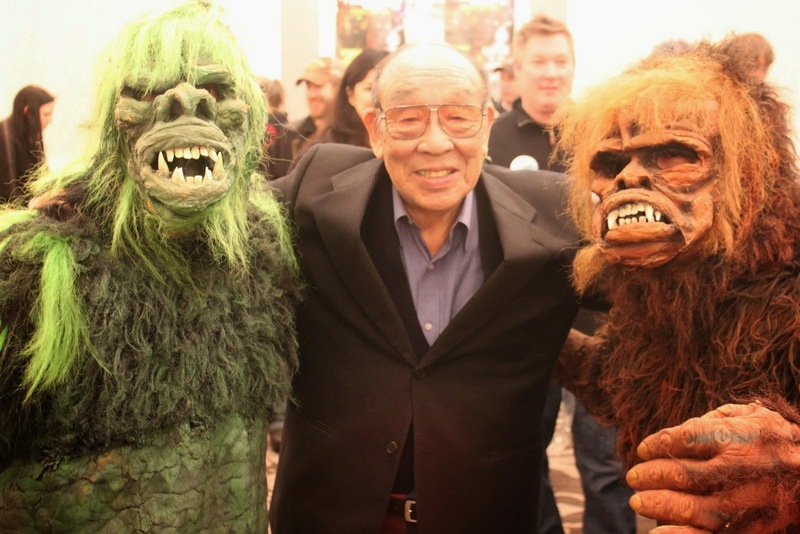 Here's Haruo Nakajima who played the Green Gargantua in "War of the Gargantuas" with a couple of great cosplayers! 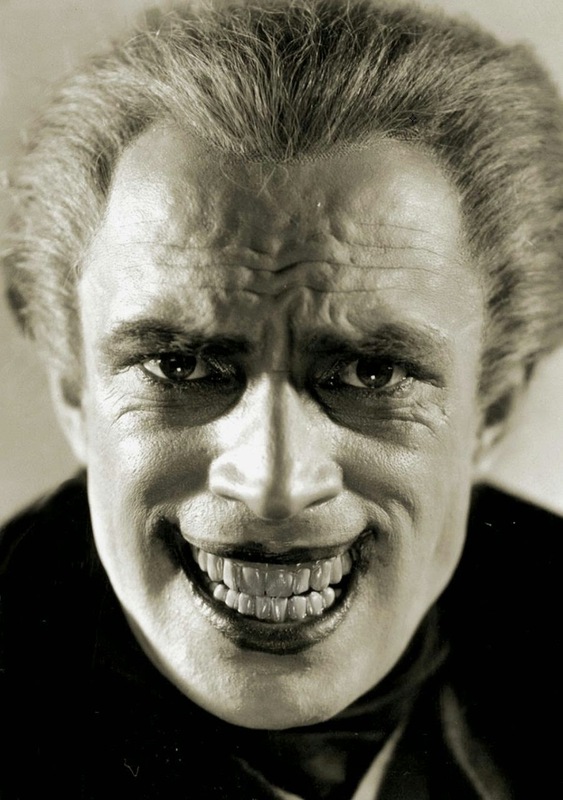 Here's Conrad Veidt from "The Man Who Laughs". 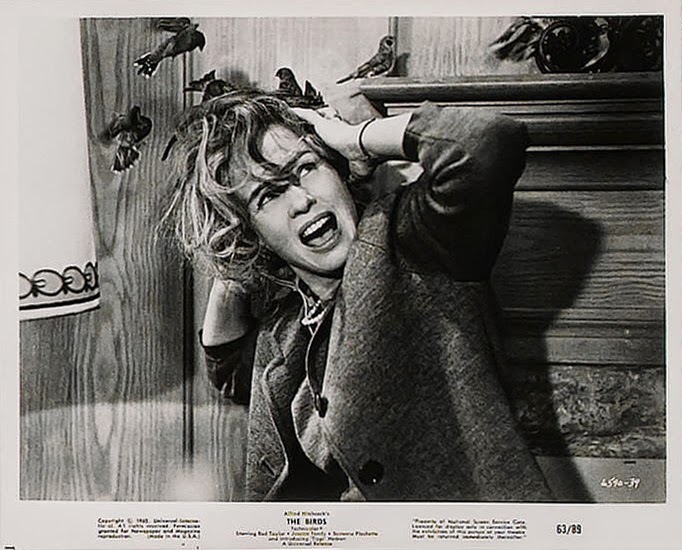 Jessica Tandy in "The Birds". 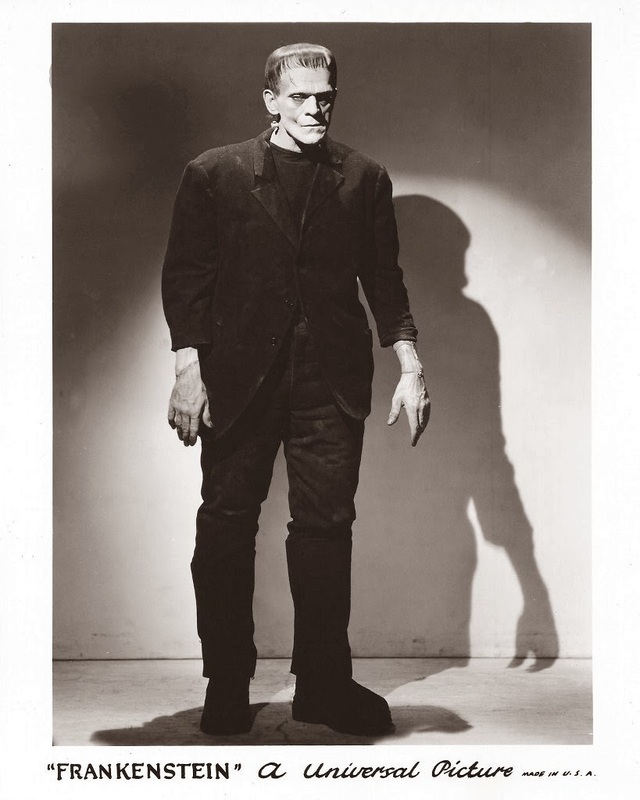 The Monster is alive in "Frankenstein". 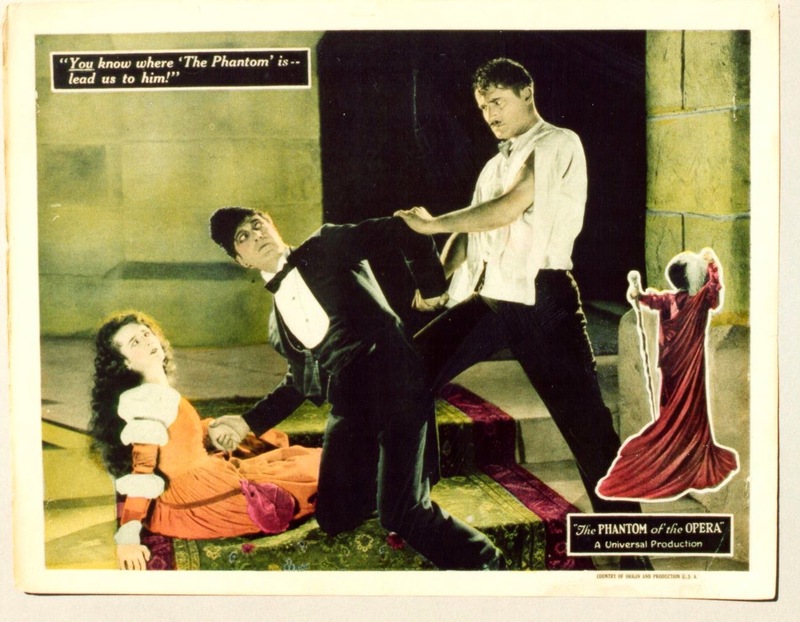 Stage 28, where Lon Chaney, Sr. shot "The Phantom of the Opera" is dedicated in 1940. 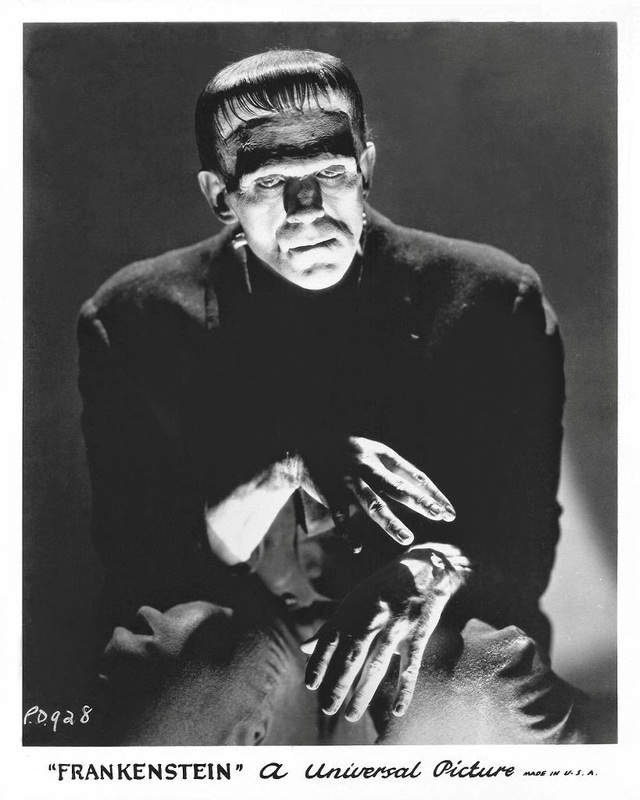 His son, Lon Chaney, Jr. is on hand in his make up for "Man Made Monster". 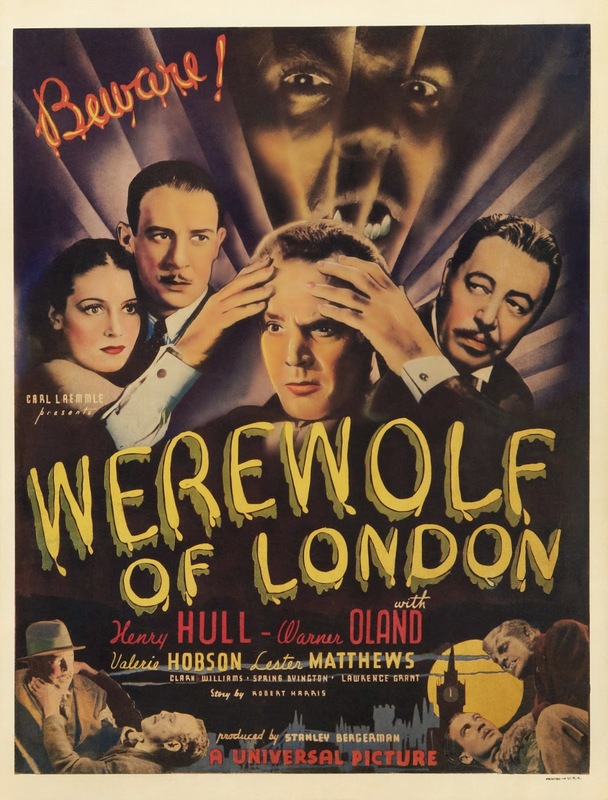 Let's See the New Lon Chaney Movie! 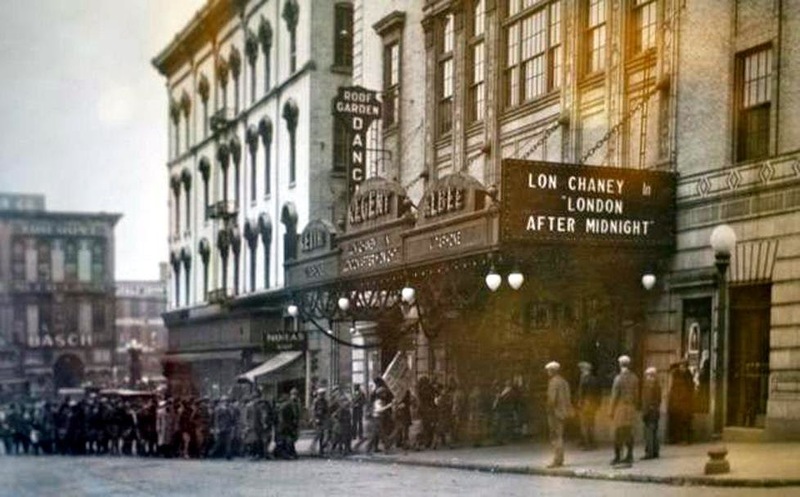 Oh to be able to go back in time and see "London After Midnight".